We shed light on the great dental floss debate of 2016, when government agencies backed off on a longtime recommendation to make flossing a regular practice. Do you use dental floss every day? Regardless of the great flossing controversy of 2016, most experts agree it's an important routine. Are you someone who has to force yourself to use dental floss? Or are you a floss-aholic, the type who keeps a pack of floss in your car, pocket, or desk drawer so you can constantly clean your teeth? According to stats, most people fall into the former category. American Dental Association (ADA) data shows that only around 12 percent of Americans floss daily. The other 88 percent must have rejoiced at a controversial 2016 report saying that, well, flossing isn’t all that important. Let’s review the events leading up to the great dental floss controversy—and consider how experts really feel about the benefits of flossing. When the latest edition of Dietary Guidelines for Americans came out, flossing was conspicuously absent. The USDA and HHS omitted any mention of dental floss, eliminating a longtime recommendation without fanfare. 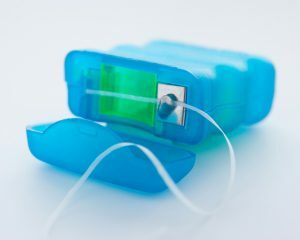 In 1979, the U.S. Department of Agriculture (USDA) and the Department of Health & Humans Services (HHS) began recommending the practice of using dental floss every day in conjunction, of course, with brushing. The recommendation came in the form of a surgeon general’s report and also in Dietary Guidelines for Americans, a publication produced every five years. In 2015, the Associated Press—according to a report by the AP itself—requested evidence that flossing prevents gum disease, cavities, and other dental health issues. Citing the Freedom of Information Act, the AP actually sent written requests for ironclad, research-backed proof that flossing is effective. 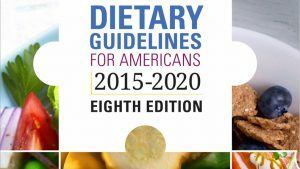 When the newest edition of Dietary Guidelines for Americans came out in 2016, presto!—no mention of dental floss. The Associated Press noted the omission, reporting that the USDA and HHS acknowledged that research has never proven the effectiveness of flossing. Flossing Studies: What About the Research? In 2011, the Cochrane Oral Health Group conducted a review of multiple studies and randomized controlled trials that pitted toothbrushing and flossing versus toothbrushing only. 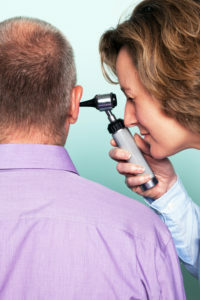 The research involved a total of nearly 1,100 adults. The results, according to the Cochrane Library study’s authors, showed that there’s evidence from 12 studies that flossing in addition to toothbrushing reduces gingivitis compared to toothbrushing alone. “It is assumed that removing plaque (a layer of bacteria in an organic matrix which forms on the teeth) will help prevent gum disease (gingivitis) and tooth decay (dental caries). Gum disease, which appears as red, bleeding gums, may eventually contribute to tooth loss. Untreated tooth decay may also result in tooth loss. Toothbrushing removes some plaque, but cannot reach in-between the teeth, where gum disease and tooth decay are common. This review looks at the added benefit of dental flossing, in people who brush their teeth regularly, for preventing gum disease and tooth decay. But is it actually overrated? You’ll find plenty who stand by flossing—including the ADA and, yes, both the USDA and HHS. Michael J. McDevitt, D.D.S. and Diplomate of the American Board of Periodontolgy, wrote at Spear Education’s website that “effective flossing two to three times a day has been a core principle in my strategy for success” in treating patients experiencing periodontitis. Dr. McDevitt, by the way, recommends unwaxed floss over waxed, writing that it more thoroughly removes plaque. The ADA-approved site Mouth Healthy offers “5 Steps to a Flawless Floss,” an illustrated guide to thorough flossing. The bottom line: After seeing the 2016 headlines, you may have been swayed by the headlines that downplayed flossing, but experts still will tell you that flossing is a “best practice” for good dental hygiene. Avoid it at your own peril. GREAT MOMENTS IN FLOSSING: DID CAVEMEN FLOSS? Cleaning those tight spaces between our teeth can be a chore—one that confronted even early man. Hey, it had to be tough to get wildebeest meat dislodged from those back molars! According to author Denise Prichard writing at SpearEducation.com, “Discoveries made by researchers have suggested that cleaning between the teeth was practiced as early as the Prehistoric period.” Horse hair may have been used as floss, with twigs used as toothpicks. In 1818, Dr. Levi Spear Parmly, an American dentist, “introduced the idea of using waxed silken thread as floss,” according to Prichard. But the Oral-B company credits an unnamed New Orleans dentist for using thin silk thread for cleaning between teeth as early as 1815. In 1882, Codman and Surleft Co. in Randolph, Mass., began mass-producing unwaxed silk floss, and 16 years later, in 1898, Johnson & Johnson scored the first dental floss patent. In the 1940s, nylon replaced silk as the top floss material and led to waxed floss. By now, such materials as PTFE (which stands for the unwieldy word polytetrafluorethylene, the material used in hi-tech Gore-Tex fabric), spongy floss, and yarn-like soft floss and super floss provide variety among dental floss offerings. bacteria, dental health, dietary guidelines, dietary guidelines for americans, floss, food, gingivitis, health, organic, plaque buildup, report. I thought you might be interested in this article on https://universityhealthnews.com: Dental Floss Daily: Do You, or Don’t You?